Home › Snapchat Today › Red Heart vs Yellow Heart on Snapchat – What Does it Mean? Red Heart vs Yellow Heart on Snapchat – What Does it Mean? If you want to get more Snapchat views and followers check out my Snapchat eBook. Apparently, the red heart means you have been best friends for over two weeks and two hearts means you’ve been best friends for two straight months. 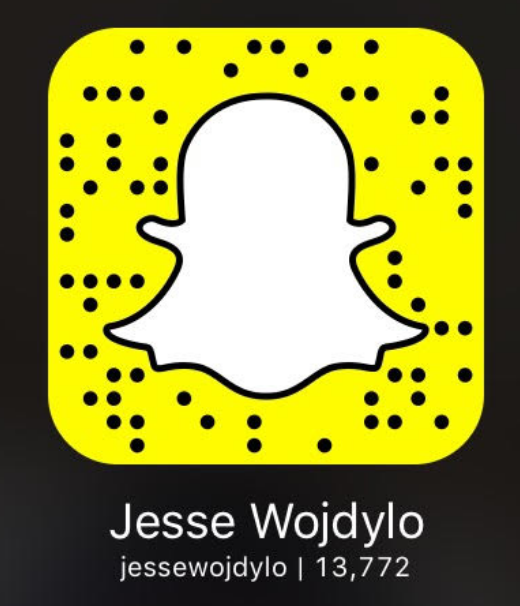 Here is the information on two red hearts on Snapchat. Have You Seen the Red Heart? Over the last several days many visitors have asked me about the difference in the red heart and yellow heart on Snapchat. In the original release of Snapchat emojis as best friends we learned that a yellow heart was your #1 best friend. I am still looking for information as hundreds of people are tweeting with questions like, “why did my yellow heart turn red?” Some have stated that it turned from yellow to red for just 10 minutes and then back to yellow. If you have any guesses about what this red heart means please feel free to leave a comment below. Someone out there has to know what this new red heart means. My heart has gone from yellow to red today… Why?!? Yellow hear means that you are each other’s #1 best friend. That switches to the red heart when you’ve been each other’s best friend for over two weeks. Next will be the two pink hearts when it gets to two months. The red heart (❤) means you’ve been best friends for two weeks straight. The double heart (?) means you’ve been best friends for two months straight. The golden heart (?) remains during the first two weeks. U definitely rite & hes such a good LOVA !!! The red heart emoji (❤️) means you have been each other’s best friend for two weeks and the double heart emoji (?) is for two months as best friends. It means you’ve been #1(?) BFs for 2 weeks=❤ & ?= #1(?) BFs for 2 months. ❤ means you’ve been #1(?) BFs for 2 weeks and ? means you’ve been #1 BFs for 2 months. ❤️ Red Heart: You have been each other’s #1 Best Friend for at least 2 weeks. me and my best friend got it at 85 days…. Me and my best friend at day 140.. The yellow heart turns red at two weeks. At two months you get double hearts. Any answers? I’m very curious! There birthday? My best friend has there birthday today its the first time I have ever seen it red. Thats my only guess. I think it is because you Get over 80 days. My heart turned red after snapping the same person over 23 days in a row and at least 15-20 times a day. Maybe after so many days of snapping in a row it changes?? It’s been red all day. I don’t think any of this is right because I’ve never had the double heart. it’s been yellow the whole time until today which is 105 days. I have gone through and ruled out almost every option in the comment section with my case alone. My friend and I have been best friends for at least 59 days, that’s just how long our snap streak is, and it just turned red today. We are both very confused by it. Can someone just ask Snapchat? it’s impossible for the red heart is two weeks and the two pink hearts is two months, because I got the one heart on 108 days.. so if what everyone is saying is right shouldn’t I have the two pink hearts? Red heart appeared after 40 days for me. My bestfriend and I have been best friends on snapchat for over a year now and we have had a hot streak of 141 days now. It just turned red in the past couple of days and I want to know why. Just because you have a snapstreak doesn’t mean that you guys Snapchat each other the most. The yellow heart means you are mutual #1 best friends. i have a 122 day sc streak and its a yellow heart. i had a 26 day sc streak with someone else and i got a red heart for them. the yellow heart went away for the other person. if you have a heart, it means you’re each others #1 best friend. I just cant get the red heart…. I had the red heart then the two pink ones now they are gone and I still have the streak. Why have they gone? Guys, I think it is the number of times you snap them, not depending on the days. So say, if you snap someone 20 times a day, every day, you will get to the red heart faster than if you only snap that person 5 times a day, everyday. But mine is still yellow why? Hi, so me and my best friend have had the two pink love hearts emoji on snapchat forever which means we are each others #1 best friend for over 2 months. This means that we sent the most snapchats to each other right? I believe it is. Could you please also tell me how this happened. The other day my two pink love hearts emoji disappeared and my best friend now has a red love heart emoji with her other friend. Is this a glitch as how is this possible when for the past two weeks we have continued to have two pink love hearts emoji? ❤️ Turn 💛 Any explanation for it? I’ve been best friends on snap with my bf for like 4 months and it just went from a double pink heart to a red heart? What? On my Snapchat my number 1 best friend and I have a ❤️ But on their Snapchat we have a 💛 whys that?